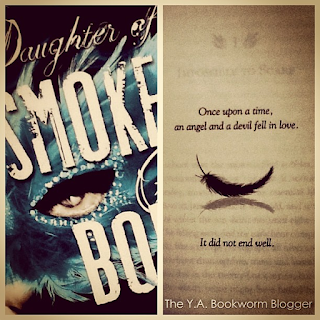 This week's Swoon Thursday comes from The Daughter of Smoke and Bone by Laini Taylor! I just finished reading this one a few days ago, and I have to say that although it was very different, I liked it ! "So you are a child of love. It seems right, that you were made by love." She had never thought of herself in that way, but after he said it, it struck her as a fine thing , to have been made by love, and she ached for what she had lost, in losing her family. "And you? Did your parents love each other?" She heard herself ask it , and was overcome by the dizzying surreality of the circumstance. She had just asked a ****** if his parents loved each other. "No," he said, and offered no explanation. "But I hope my children's parents will." Again he lifted her hand so that she could circle under the bridge made by their arms, and again her horns got in the way, so they were briefly parted. Turning, [insert spoilery character name here :P] felt a sting in his words, and when they were facing each other once more, she said, in her defense, "Love is a luxury." This is one of those scenes where you just feel the intensity between these two characters! I always sigh at the line, "Love is an element." ! Have you read Daughter of Smoke and Bone? What do you think about the sequel? I haven't read the second book yet and I'm curious to know what you guys thought of it. Keep Swooning! Oops! Let me try this again lol I've had this book on my Kindle forever and after read your awesome swoon I need to read this book NOW! Thanks for sharing Caitlin! I love this series!! It is different, but I think it's fantastic! 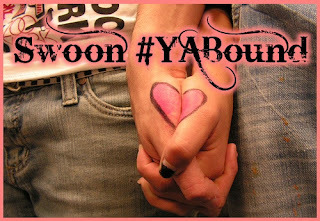 Great Swoon! I haven't come across this book before. Your swoon is certainly intriguing. I think I need to go and check this one out. You definitely should ! :) Thanks for stopping by Marilyn! The sequel is as swoonalicious as DoSaB. Love them both! What a great swoon. I really do need to get to this one. That's how I feel about so many of the books on my TBR shelf ! There are so many books that people have recommended, but there just isn't enough time to read them! Thanks for stopping by Valerie!